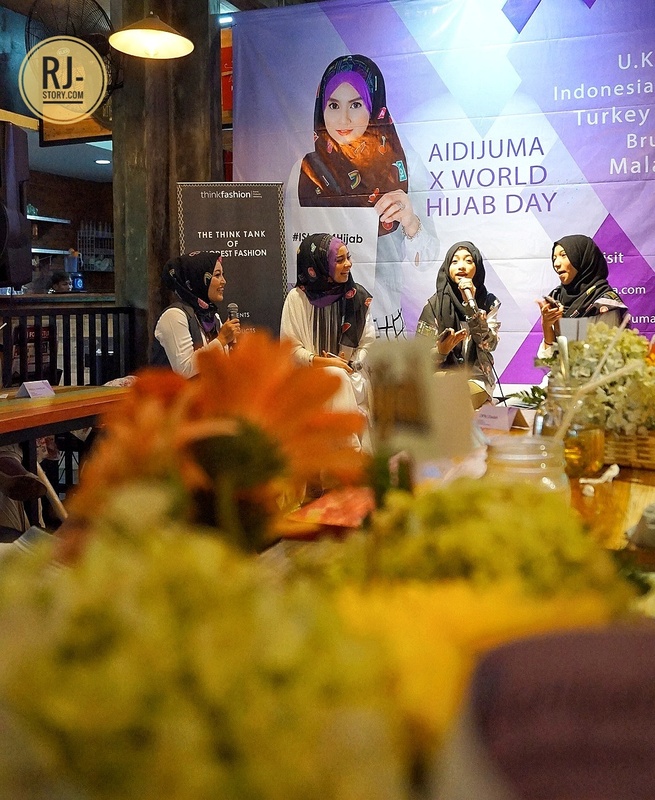 On last saturday, 19th February 2017, me and my hijab blogger friends got invited by Mba Wawa from Blogger Crony to celebrate World Hijab Day which held by Aidijuma and Think Fashion istanbul Turkey. 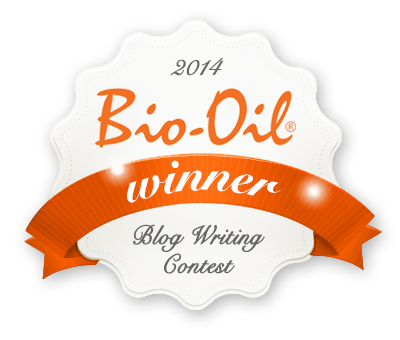 Firstly, i would like to apologize if there is any mistake of grammar, word or sentence typed in this blog post. 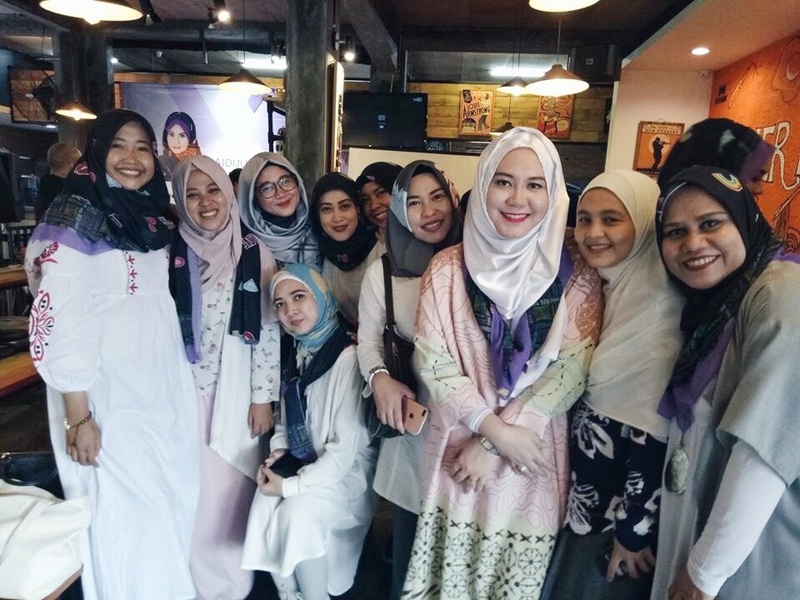 I am willing to share the event in English, instead in Bahasa Indonesia, so that everyone in other countries can understand and feel the excitement of celebrating world hijab day together with our sisters in Indonesia. What is World Hijab Day? World Hijab Day (WHD) is an annual event that is celebrated every 1st of February. On that day, WHD asks people of all faiths to show solidarity to Muslim women worldwide. With the mission to create a peaceful world, where global citizens respect each other, WHD has been gaining lots of support around the world. Started in 2012 by Nazma Khan in New York, now WHD has thousands of volunteers worldwide and more than 70 WHD Ambassadors from more than 45 countries and has been endorsed by many famous individuals from scholars, politicians to celebrities around the world. 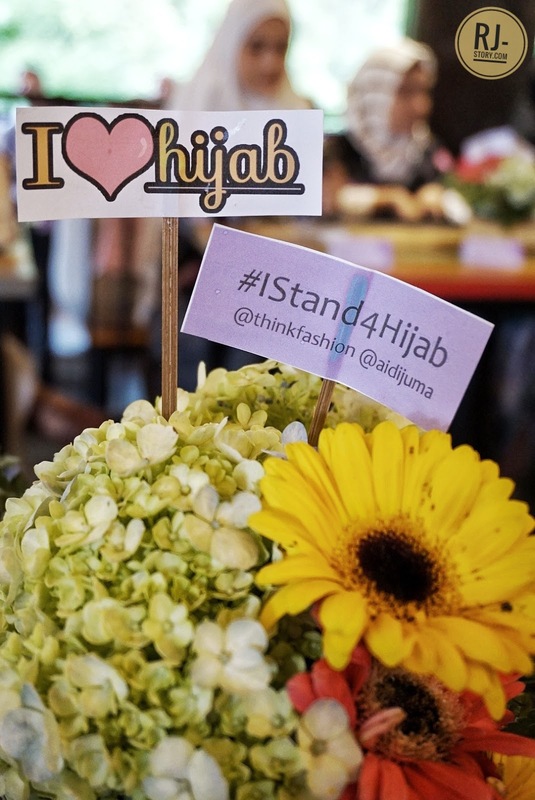 This year, WHD is using hashtag #IStand4Hijab to show support against Islamophobia and discrimination of muslim women- especially in the West. 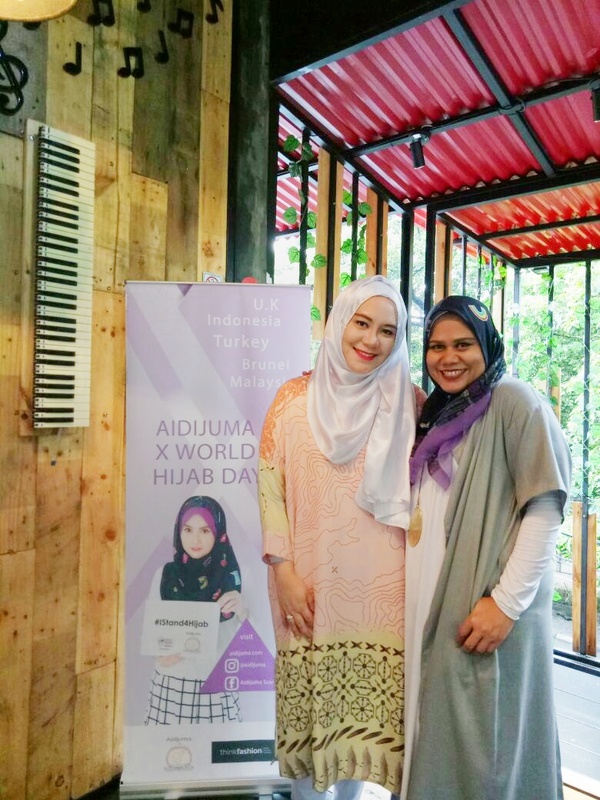 Aidijuma collaborated with Think Fashion from Istanbul Turki were honored to sponsor World Hijab Day by the name Aidijuma X World Hijab Day, the purpose of celebrating world hijab day is to empower and support the woman who already wear hijab but still face unpleasant experience by wearing it. Also give support to the woman who just wear hijab to be faithful and 'istiqamah' with their hijab. 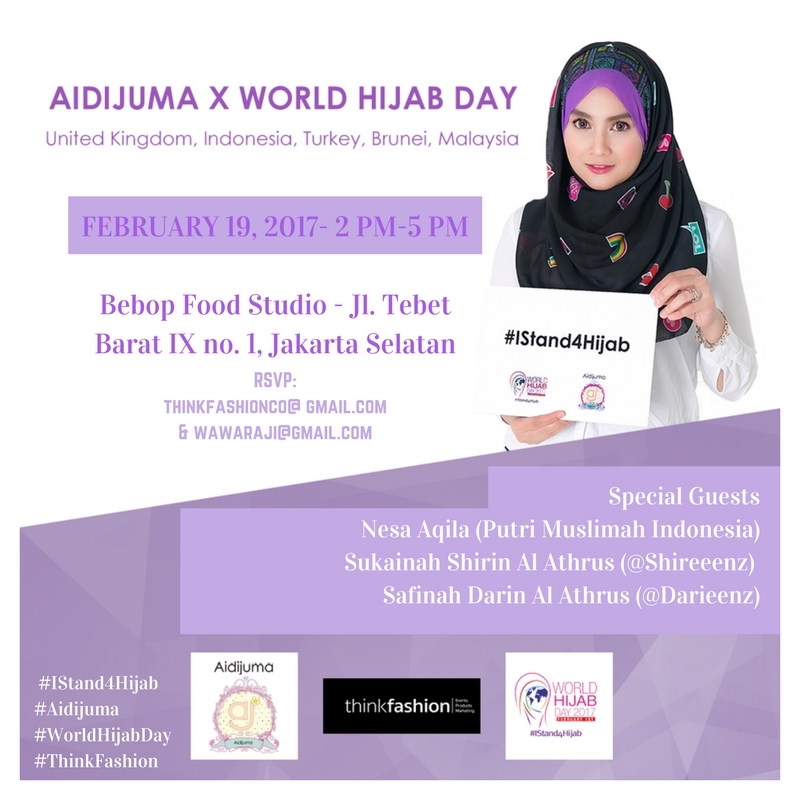 This Aidijuma X World hijab day event was celebrated in 5 countries, which are Turkey, Malaysia, U.K, Brunei Darussalam and Indonesia. As part of their February charity campaign named #SpreadLove and supporting all women who wear hijab, Aidijuma provided 10.000 limited edition scarfs worldwide. 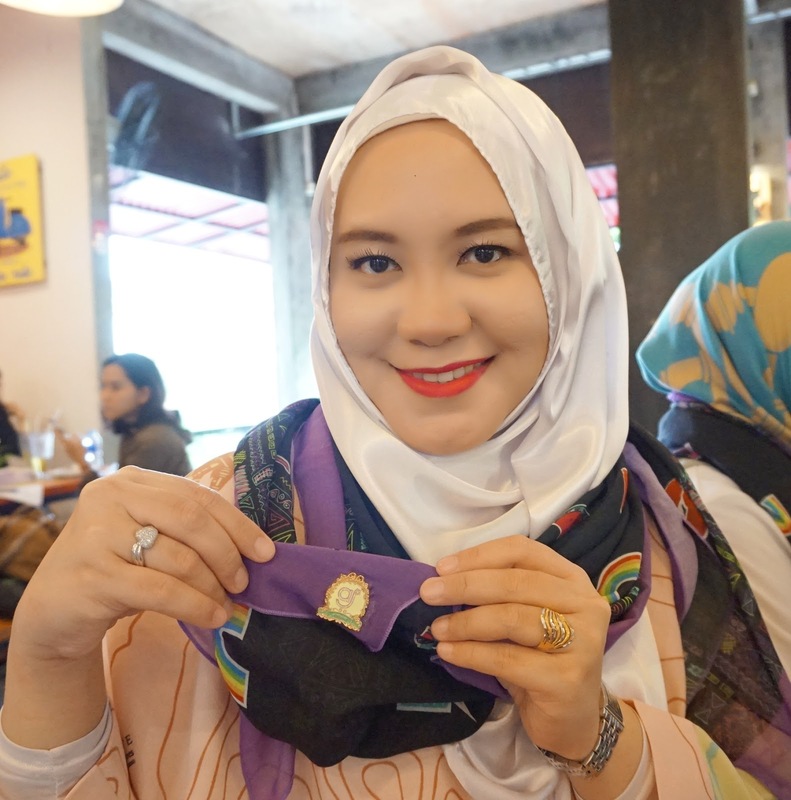 All Aidijuma scarfs sold is given for charity and only distributed 100 pcs in Indonesia. I'm glad to be the lucky one to have this limited scarf. Aidijuma. Salute to the founder and CEO, Datin Norjuma Habib Mohamed with all the Aidijuma's achievements. 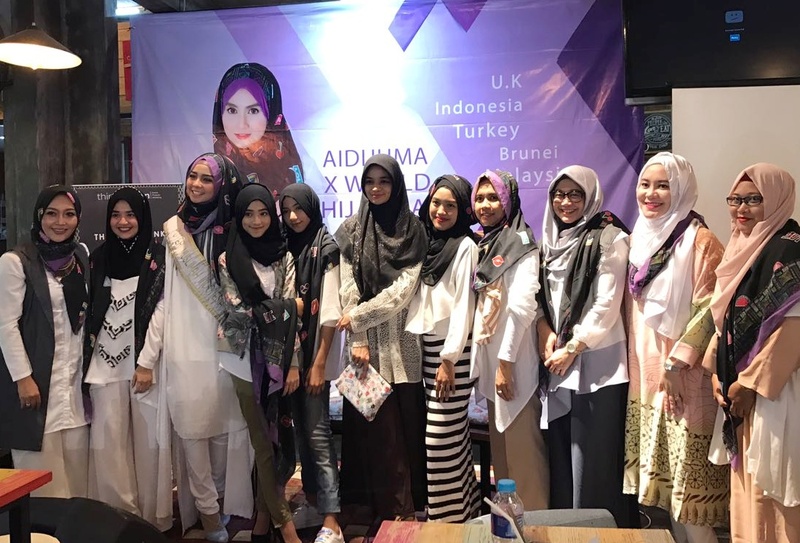 Aidijuma scarf has participated in fashion shows and exhibition abroad, which are Plitz New York Fashion week, London Muslim Lifestyle show and Istanbul Modest fashion week. She has set the goal to make Aidijuma scarfs as No.1 scarf company in the world. 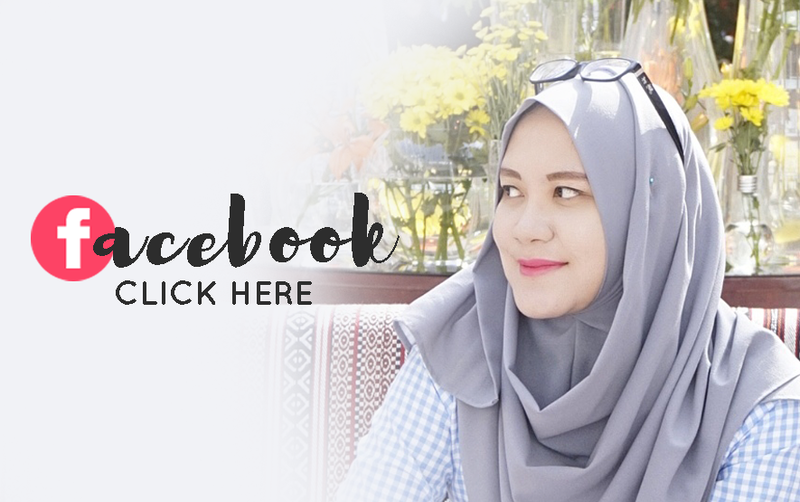 Aidijuma scarf has become a leading Malaysian scarf brand since 2012 through its various products of Bawal (voile) and satin scarves. 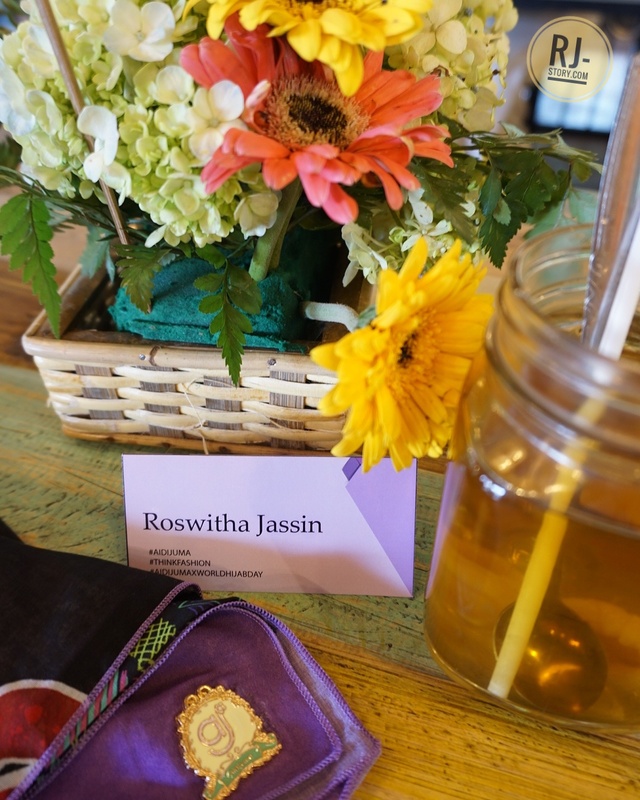 Aidijuma scarf is constantly participating in charities and women empowerment events. The brand is strong in their tagline "Wear It as You" and it's trending hashtag #ScarfwithSoul. Aidijuma is the pioneer to launch mobile selling through scraf machine in Malaysia and Brunei Darusaalam. I'm curious to see and feel the experience buying scarf from mobile machine. With all these achievements, Aidijuma Scarf has proven that a scarf brand can go million miles. 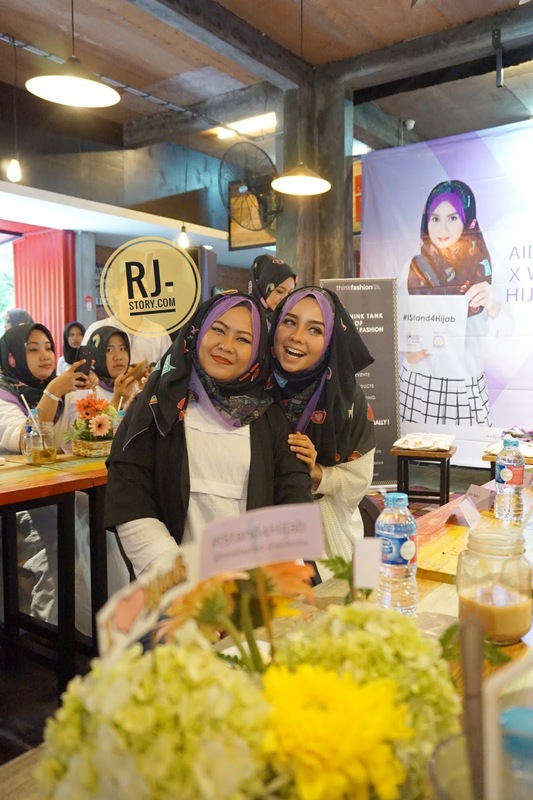 Aidijuma X World Hijab day in Indonesia, was held at BeBop Food Studio in Tebet, south Jakarta. 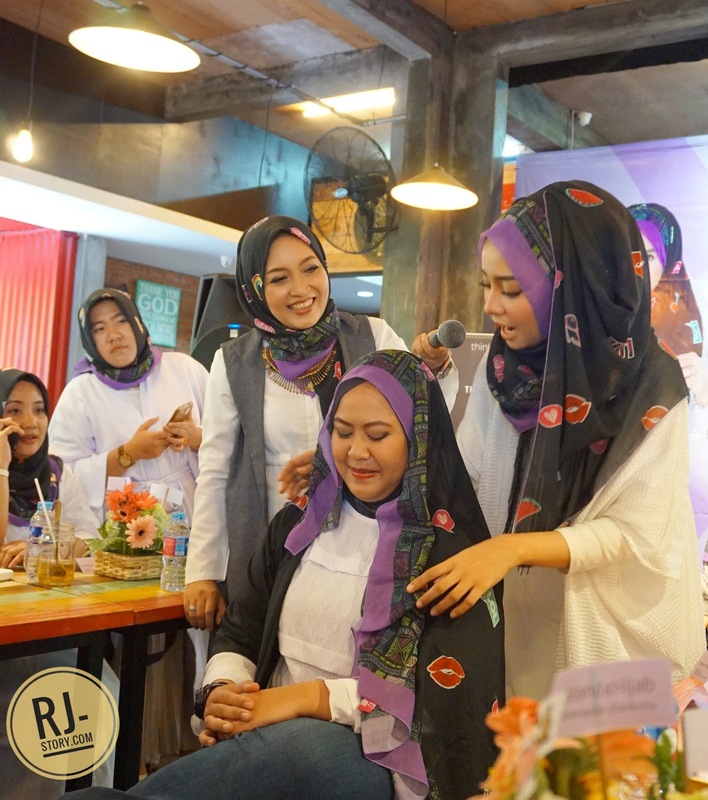 The event was casual, there were games, quizzes and talkshows by Indonesia's young influencers, ms. Nesa Aqila (the 1st winner of Putri Muslimah Indonesia 2015) and famous instagram siblings Shirin Al Athrus (@shireeenz) and Safinah Darin Al Athrus (@darieenz). The Talkshow. 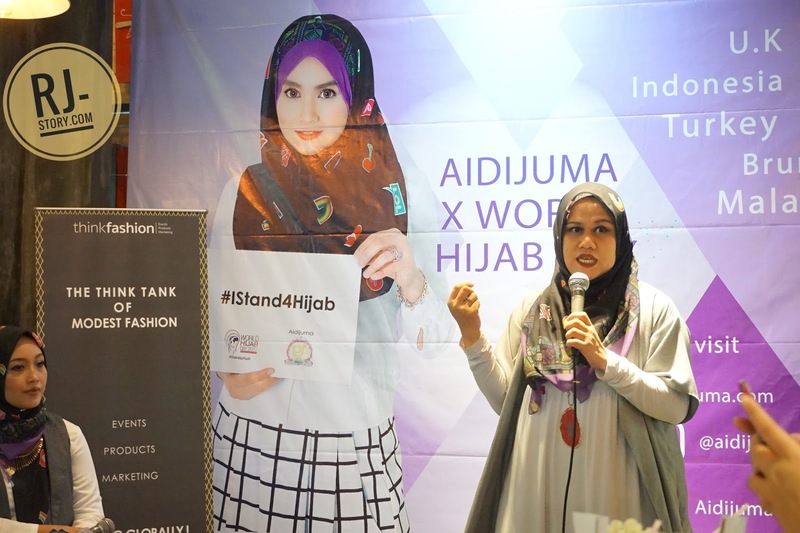 ms. Nesa Aqila shared her experience in wearing hijab. Because she was born in strong Moslem family, she was obligated to wear hijab since kindergarten. 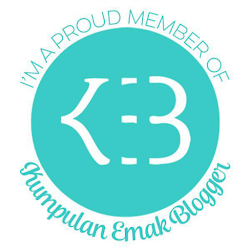 Grew up as a tall and pretty lady, she has an ambition to be a model and be Miss Indonesia. However, the beauty pageant has "unwritten" regulation to not allowing Hijabi to join the competition. In junior high, she tried to took off her hijab, fortunately, she felt uncomfortable not wearing it. So that she was back on track. ^_^ . She still has the dream of being Miss Indonesia. Her pray been answered, in 2015 there was Miss Moslema Indonesia Pageant and she won as the first ever "Putri Muslimah Indonesia". Currently, she offered many jobs from various brands, speakers for many empowering talk shows and role in Indonesia's TV drama. Some offers come with the requirements to took off the hijab (especially the tv drama), and she confidently, refuse the offers. "They must accept me with the hijab". She said. The celebgram siblings, Shirin and Darin, shared their experience, Shirin the eldest of the two, wear hijab on 9 years old and her sister Darin follow her few years later. Shirin said " I can't have my hair to be colorful, it will looks weird, but with hijab I can". It means, with hijab we can have many colors and patterns "on our head" with the various scarfs we wear. Cute. 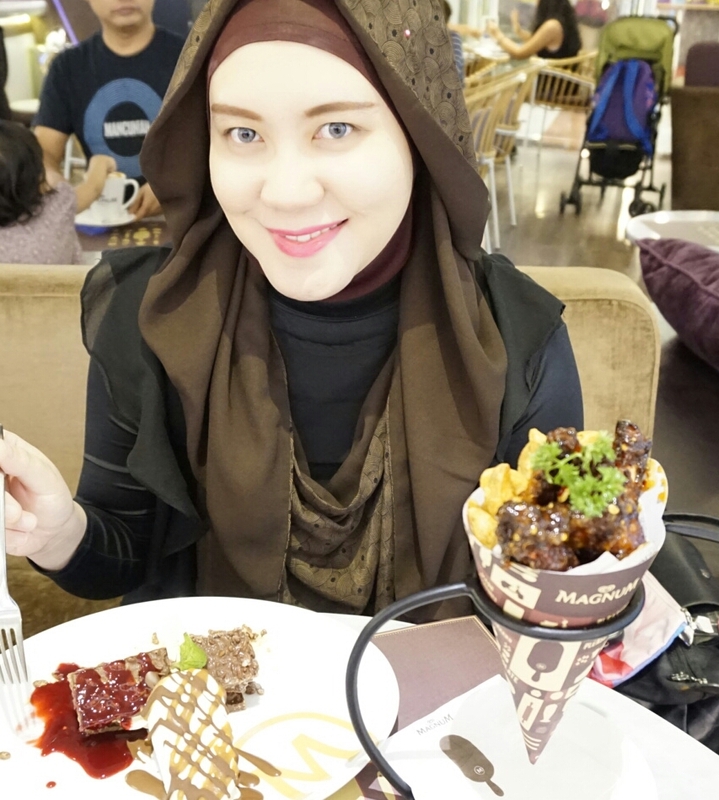 Even though, Shirin and Darin wear Hijab, they both able to look stylish so that they influenced many young indonesian girls to wear Hijab. Hijab Tutorial and Games. The event continued with Hijab tutorial from Nesa Aqila. She showed us 3 hijab style wearing Aidijuma limited edition scarf. First style, i think it's more look like Dian Pelangi's style, the second one is to copy Datin Norjuma Habib Mohamed style, and the third one is to copy her own hijab style, which was requested by the MC. Then the event continued with games. The game was to create the most stylish and creative style wearing Aidijuma Scarf. Time given was only 5 minutes. And the last part was speech from ms Amaliah Begum as the @worldhijabday representation. Saying thank you to all of us for our support and empowerment to all the moslema all over the world. 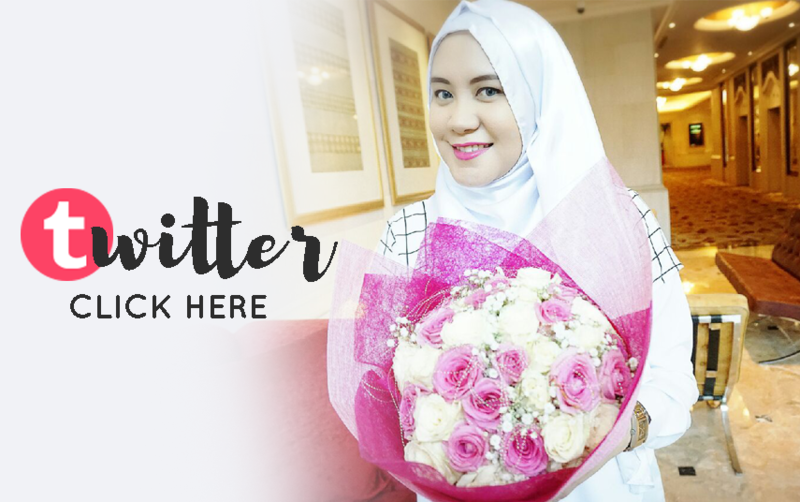 And the hashtag #Aidijumaxworldhijabday become trending topic on that day. Salute!! Purchasers purchasing propensities and patterns will change thus will their purchasing power.